Many blame celebrities for creating this controversy around parents kissing kids on the lips. Before the days of social media it wasn’t as easy to compare and criticize parenting styles. But now Instagram comments blew up when the Beckhams posted pictures of them locking lips with their daughter, then again to a picture of Tom Brady kissing his son. 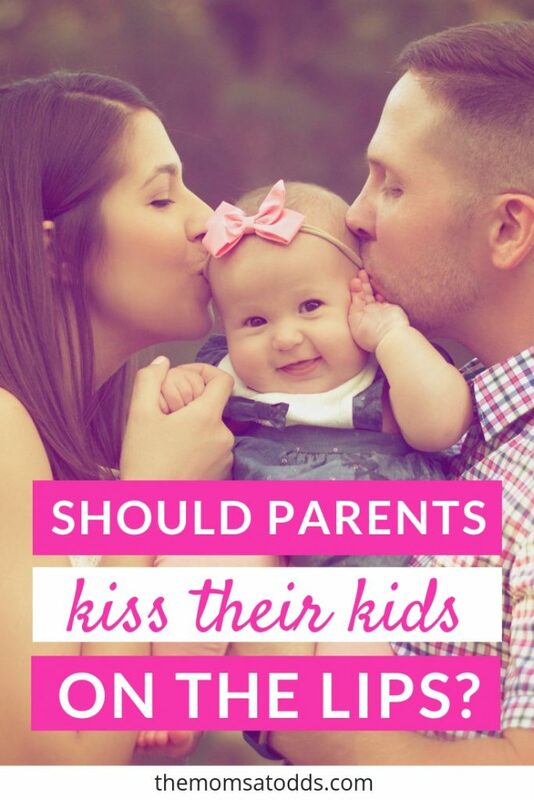 This begs the question, what’s the deal with parents kissing kids on the lips? Is it wrong? Gross? Loving? Natural? It seems that whether or not you are a kissing parent often comes down to cultural norms and family traditions. Rachel’s family abstains from family kissing on the lips but Jo is all about the smooches. If you, like myself, grew up not lip kissing family, then that type of affection probably makes you feel uncomfortable. I’ve been trying to figure out exactly why I am uncomfortable, but I think it simply boils down to being uneasy with something that is different. That’s just not how I’m used to showing or receiving affection from my family. I didn’t grow up kissing my family on the lips so I don’t kiss my kids on the lips. Since it isn’t my norm, it would feel really weird. While I feel uncomfortable, I do not find lips kissing to be inherently sexual as seems to be a common criticism. I think it is only sexual if one party believes it is sexual (which would be inappropriate regardless of which side of the debate your support). Though I love them dearly, my kids are gross. There seems to be some unwritten rule that at any given moment, someone is our house must have a runny nose. And even if your little ones aren’t snot monsters like mine, there’s still concern about the germs that can be passed to them from kisses. For instance, cavity causing bacteria (which babies don’t have yet, but adults often do) can easily be passed through a kiss. That’s not all though, colds, Mono, Meningitis, Herpes, and Hepatitis B can all be spread by kisses. 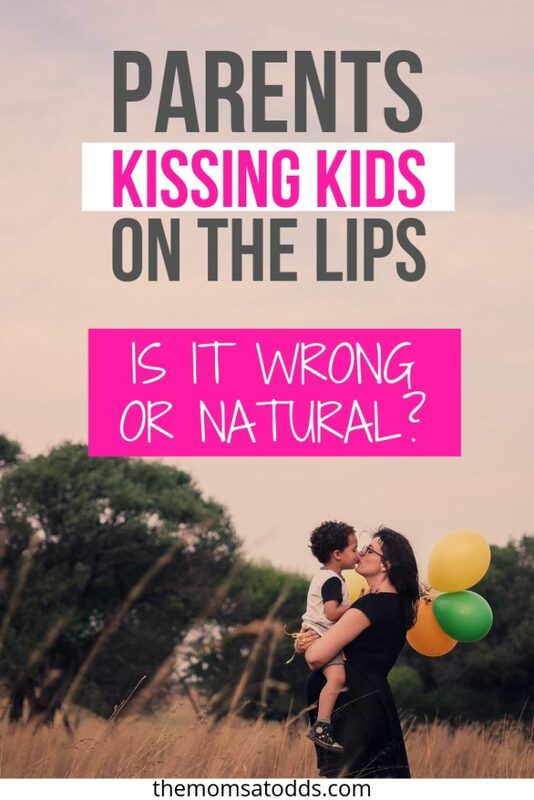 I can understand that many parents wouldn’t worry too much about this because they know if they are anything, but if your little one also lip kisses extended family and friends it increases chances of exposure. Just because we do not kiss on the lips does not mean that we aren’t affectionate. There are lots of other ways to show affection. We hug, kiss on the cheek and forehead, and tell each other we love them all the time. Affection comes in many forms and should be shown in whatever ways you and your family are most comfortable. My family is all about the lip smooches. Mom, Dad, Nana, Brothers, Sisters, and Grandpa all kiss my children on their lips. I find myself (unfortunately) having to defend my stance constantly to friends. Often my go-to argument is the old line of “it’s normal in Europe! Overseas even friends kiss on the lips”. I grew up kissing my parents on the lips, plain and simple. To our family it’s just the natural way we show affection towards one another. When I was growing up, the thought of it being “weird”, “strange”, or anything more than a symbol of familial love never crossed my mind. Which is probably why, for me…. As I bonded with baby over the first few months, especially as my son got chubby and started smiling at me, I found myself wanting to cuddle and kiss him nonstop. I was filled with so much motherly love and I had the urge to kiss him, it called to me. Then when my kids got a little older, they started to be the ones initiating the lip kissing. It became the natural way they expressed love to our family. Always on their own terms, never forced. Fast forward to today, my children (ages 4 and 3) ask for kisses on a daily basis when I drop them off at school, when I have to say goodbye, and before going to sleep at night. Hey i’m 33 and I still kiss my mom goodbye sometimes. Language is a complex concept for children for many years, so allowing them to express their love and affection physically is very healthy. 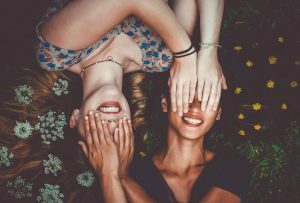 It introduces them early to what a healthy relationship looks like and makes them comfortable for giving and receiving physical affection later in life. As long as kids are okay with it, I really don’t see what the big deal is about kissing kids on the lips. Rachel and Jo both strongly agree that affection should not be forced and that we should respect their personal boundaries. Kids should be allowed to have body autonomy and if they don’t want to kiss, that should be ok. If you want to teach your child the importance of showing affection to family members (and they don’t feel comfortable with kissing or hugging), consider compromising on a wave or a high-five.